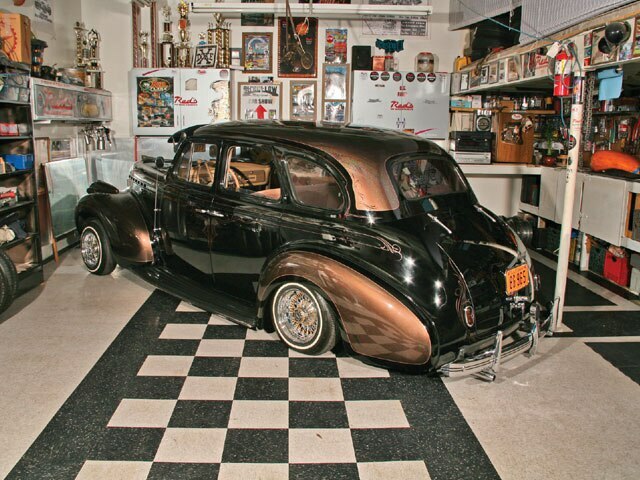 The Other Lady In Mr. Art's World Is This Curvaceous '40 Chevy Master Deluxe. 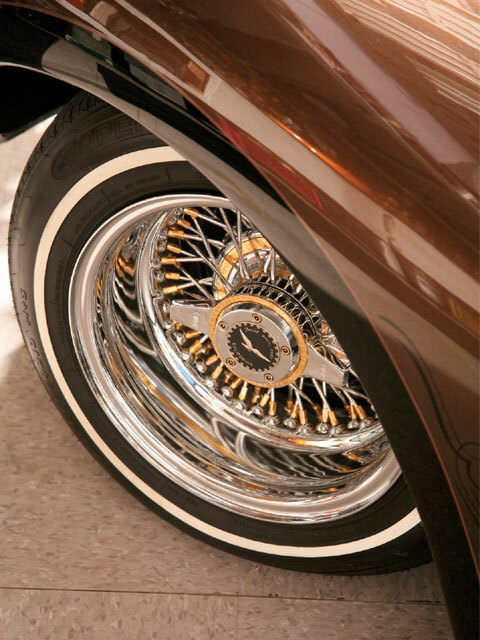 For a gentleman like Art Patino of Surfside, California, living the lowrider life is as natural as breathing. He does it with passion and ease, but he has his opinions as to what can and can’t be done by those who are involved in the culture that we so love. When someone tells him that it can’t be done, Art’s the first one out there in his shop showing his peers, no, helping his peers, figure a way out to do the task at hand. 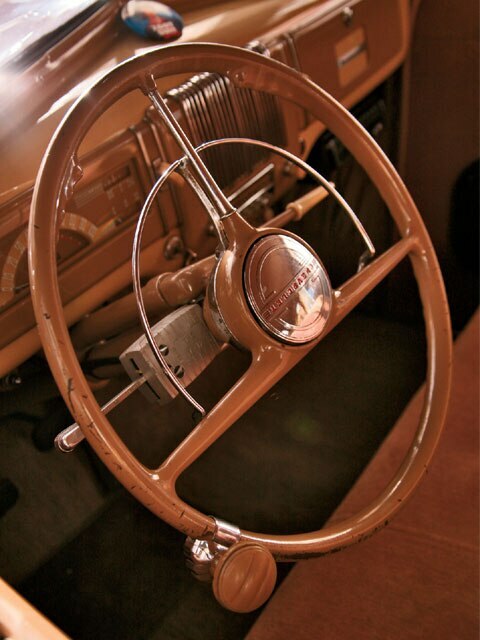 That’s how it was when Art built his pride and joy, “Hoochie Mama,” a 1940 Chevrolet Master Deluxe. 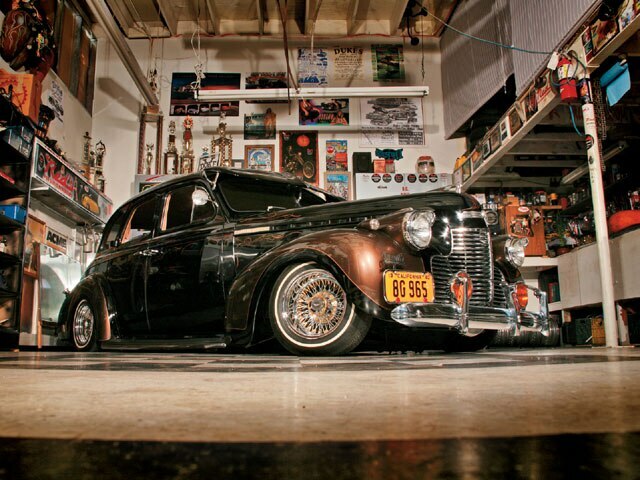 “It was my dad’s at one time,” says Art, “all original, and then when I got it, I started to take it to its destiny where it belonged.” As a young Chicano growing up in the late ’60s and early ’70s, Art joined the Sons of Soul Car Club out of East Los Angeles and he also hung out with the Ruelas brothers. Art had a ’54 Chevy at the time and then got himself a ’64 Buick Riviera before eventually dropping out of the scene. Why? He went into the Army, did his duty and received an Honorable Discharge. He came home, started his own family life and then came the Hoochie Mama and Art was back on the scene. Cars are in his blood and he’ll do it until the day he passes on. Well, Art, now we can safely say that you and your righteous ride are among the elite to graces the pages of LRM. We believe in karma, good and bad. With the help that you’ve given to your fellow men and women, you had this coming. We can only say to keep it up and congratulations, brother! Engine/Drivetrain: Art had Blain Baker of Baker Automotive in Paramount, California, go over the block and internals of the original 216-c.i.d. powerplant before his friends Mac, Felip and himself reinstalled the engine back between those vintage fenders. The stock transmission is controlled by the three-on-the-tree column, while the “rap, rap” of the exhaust is created by the split manifold with one straight and one 12-inch glass-pack unit. 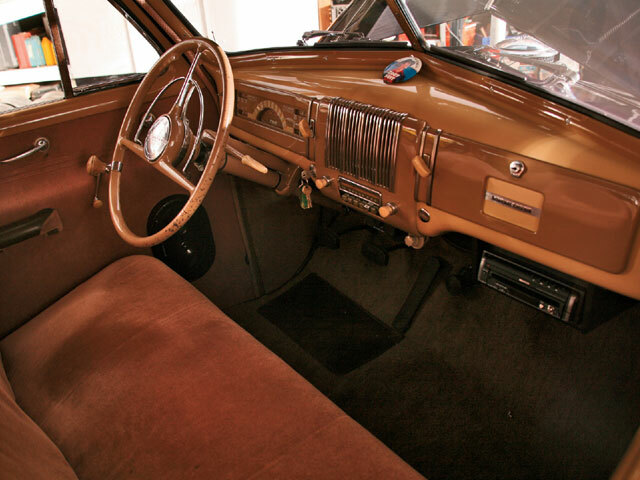 Interior: The upholstery is also 22 years old and was done in the traditional mohair finish with kudos going to an unknown gentleman who has since passed on. The rest of the relic has the right details to say that it’s 1940 all over again. Sound System: So who did the stereo on the Chevy? Why, Art, of course. Using a Kenwood head unit, the rest of the system is made up of Audiobahn amplifiers, six 6-inch three-way mids and 12-inch Audiobahn subs for the boom in this bomb. Setup: Art’s the owner of a shop called Every Man’s Dream in South Gate, California, so it’s a no brainer that he’d do the suspension on his bomb and what a setup it is. He modified the stance of the Chevy by keeping the OG coils to seven “turns” and used 8-inch Red’s Hydraulics cylinders and sixes in the rear. While back there, he did a number on the rear trailing arms and did step-fronts on the front arms. While a single battery powers a single Red’s pump and a Red’s four-block dump setup hooked up via hard-lines, another battery powers the car and sound system.